Big Days* have been a big deal for the past few years. That said, some stalwart birders are undoubtedly thinking, “I beg your pardon? My Big Day has been a huge deal for the past thirty years!” Without diminishing the importance of any local Big Days, although Big Day birding has been popular and reaching new heights in North America for more than a decade, major attempts at truly breaking the world record have only taken place the past few years. The world record being referred to here is that good old famous one set by Ted Parker and Scott Robinson in Manu National Park, Peru, in 1982. In all honesty, that particular Big Day really belongs in a category of its own because it was carried out at one site (Cocha Cashu) and only involved walking and boat rides. Yep, those two guys identified 331 species in one small area, sans vehicle. Can you imagine even identifying more than 250 species while walking and using a canoe in one day? Talk about mega birding (and mega skills of course)! Essentially, their record was broken in 1986 by Terry Stevenson and John Fanshawe when they recorded 342 species during one calendar day in Kenya. Although they did use a small plane during the process, that’s still one heck of an impressive total. 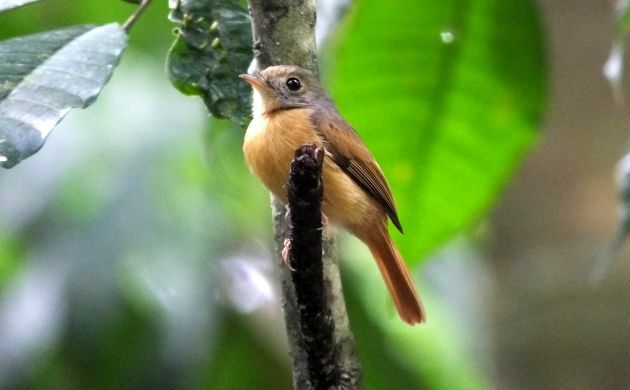 Ruddy-tailed Flycatcher was likely one of the many small forest birds recorded by Ted and Scott. Since then, teams from Cornell and South Africa have taken a shot at the title, but although they have identified anywhere from 320 to 325 species (the South African record), the world record stood until October of 2014 when a team from LSU made a concerted effort and indeed broke it with 354 species in one calendar day. BUT, if you think that’s a lot of birds, just hold your horses for the crazy avian ride carried out by a four birder team in Ecuador. On October 8th of this year, Rudy Gelis, Mitch Lysinger, Tuomas Seimola and Dušan Brinkhuizen brought Big Day birding to new, insane heights with a staggering result of 425 species in one calendar day. Since they had hit well over 300 species on their previous attempt, I figured they would probably have a killer plan for this one but I didn’t expect that many birds! They also made use of air travel, taking a short flight from Quito to the coast, but already had the world record before the plane took off anyways. They probably saw Green Honeycreeper. But what about Costa Rica, isn’t this post about a new Big Day record for my adopted, birdy country? On October 25th, a new Big Day record was indeed broken in Costa Rica by Ernesto Carman and Jairo Jimenez. It wasn’t a world record but 351 bird species in one day is amazing nonetheless, the third highest total in the world, and indeed a new country record. 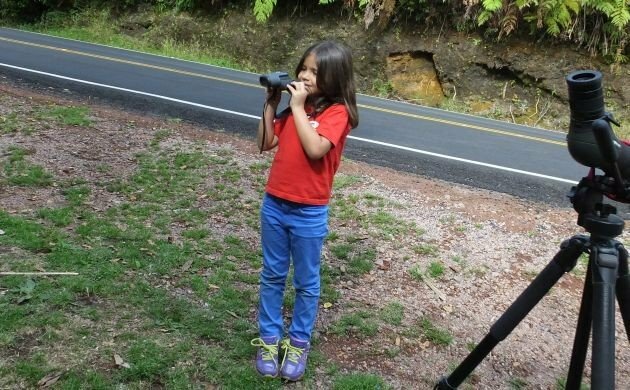 Check out Ernesto’s report about their Big Day to see the route they took and read about the species they saw. 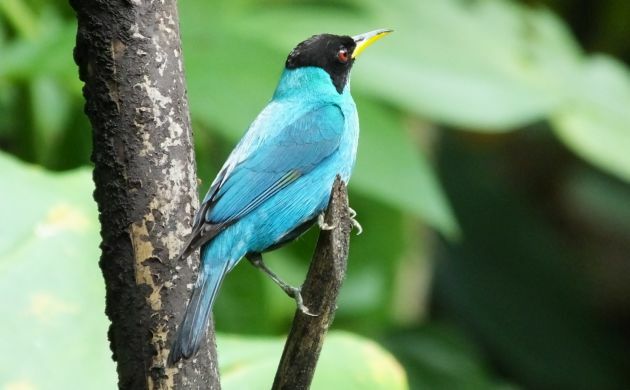 It was wonderful to see that they hit more than 350 species in Costa Rica because I have known that this was possible since I started looking into Costa Rican Big Day routes in 2009. The weather and traffic have to cooperate but with the right route and skills, they have shown that this is quite feasible (most of the species on their list are fairly common and expected), and I dare say that topping 400 is even possible. Heck, even the new world record is possible but one would indeed require a huge degree of scouting, luck for the birds to show when you need them to, and for the weather and traffic to cooperate. You know, I think I’ll give it a try! 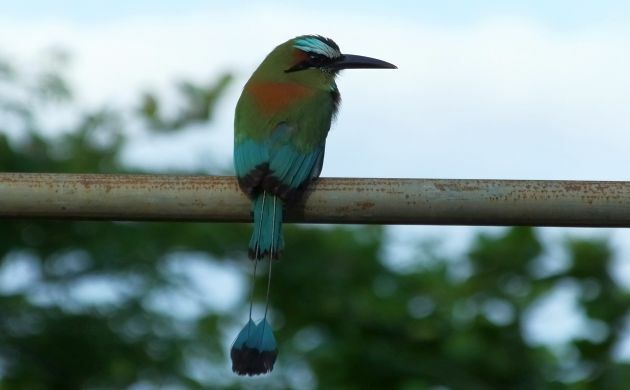 Turquoise-browed Motmot was one of three or four motmot species identified by Ernesto and Jairo. I hope we get this one too. *If you were still wondering, a “Big Day” is an attempt to identify by sight and sound as many bird species as possible in one calendar day. Basically, extreme birding at it’s finest. I hope that my daughter will eventually be part of my Big Day team. We do a “Christmas Day list” each year and 100 is no problem around Broome and we don’t bird the whole day! Of course New Year’s day also is a list day, because it marks the start of a new list.